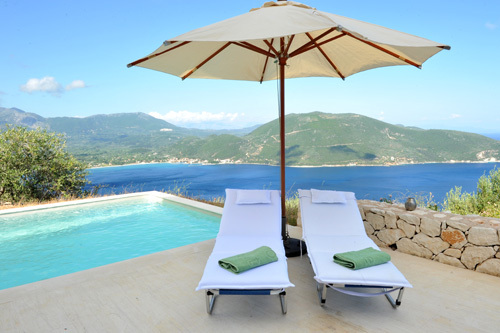 Join us on the tranquil Ionian island of Lefkada in Greece. 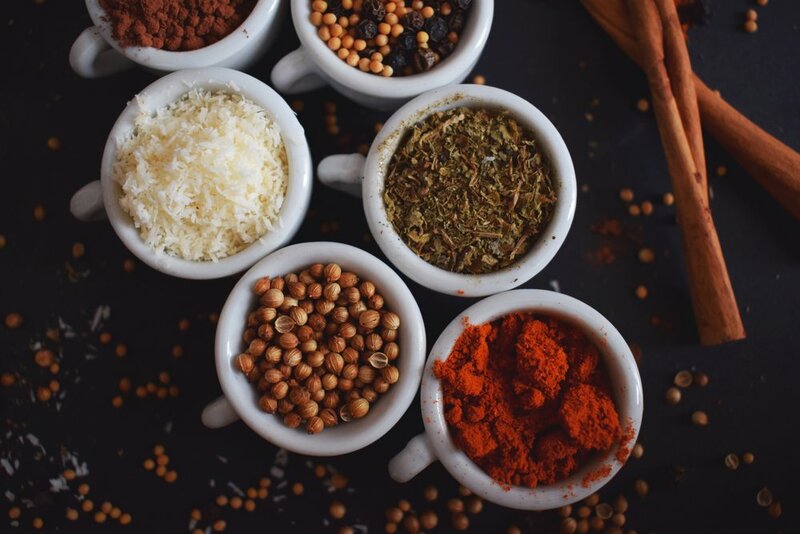 Johnson and Geeta will lead a bespoke retreat experience where we will become stronger, more flexible, eliminate our urban stresses, and restore the harmony of our mind, body and spirit with healthy and nutritious food. 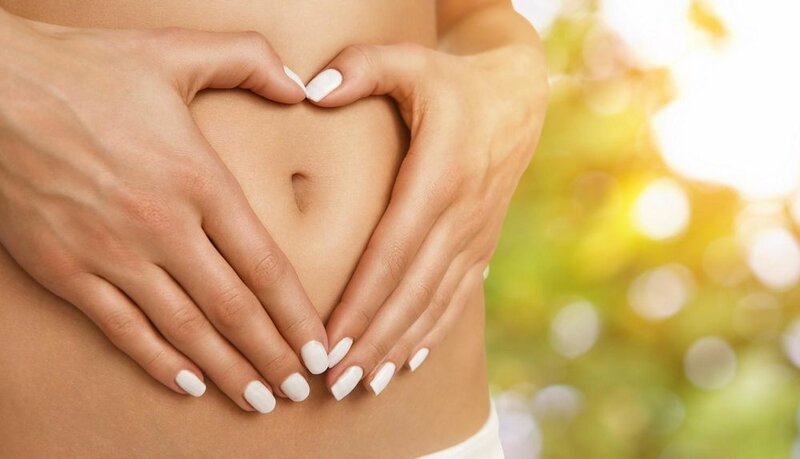 We will practice daily yoga (hatha, vinyasa or kundalini), daily meditation and Ayurvedic cooking workshops to restore you from the inside out. When you think of Greece? You think of Zeus, and the Grecian Gods. The legacy of Alexander the Great, and the Battle of Troy. It's a land where mythology has infused its way into the liveliness of the culture. Most travelers are drawn to the healthy Mediterranean cuisine while laying back, and kicking up some sand on Greece's countless paradise islands. While we bask in the practices of yoga, meditation and ayurveda, we will unapologetically soak up the endless sunshine, beautiful beaches and turquoise waters. A well deserved restful holiday earned! Currency in Euro. Cash only payments for villa massages. Lefkada Island is verdant with some of the best beaches in the world. The beautiful Porto Katsiki beach is a 15 minute drive from our retreat villas. On the scenic drive from Preveza there are many small villages and breathtaking views of the sea. You can drive along the coast or through the winding roads that take you through the cooler central mountains. The main town of Lefkada, with numerous shops and restaurants, is a popular port for charter sailing boats. Further along there is a charming village called Nidri, with plenty of shops and restaurants. Nearest to us is the quaint village of Vassiliki. Set in a beautiful bay in view of our villas, Vassiliki is popular for sailing boats, and wind and kite surfing. Diving and snorkeling equipment and tours are also offered. Vassiliki has a small port dotted with restaurants, shops and cafes. There are beautiful beaches nearby and small coves for swimming. We will be staying at a luxury villa overlooking a private beach with panoramic sea views. 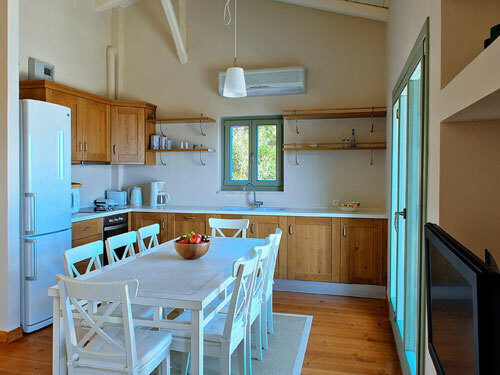 The stone villas have 3 bedrooms for double or single occupancy, fully equipped with a kitchen and our gourmet chef. Each villa comes with a private swimming pool and exceptional sea views from all the rooms. Each villa is nestled among oak and olive trees, spaced far enough apart to ensure privacy. 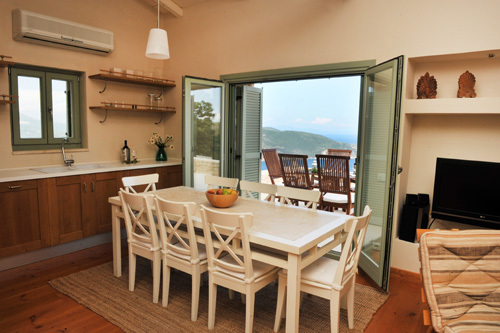 They stand on a low hill overlooking breathtaking vistas of the Ionian sea near the most famous Greek beaches. Check in for the retreat is at retreat program is flexible and subject to change. 10:00 am - 11:30 am 3 Workshops with Geeta every other day. 12:00 pm - 5:00 pm: Free Time. Write, Read, Nap, Swim at your private pool, hike down the private beach and swim in the ocean or take walks on the country road. Private sessions with Johnson for Yoga, Pilates, Meditation or Shamanic Journeying are available. Private sessions with Geeta are also available. 7:00 pm: Sunset dinner on one of the outdoor terraces with exquisite views. After dinner on some evenings there will be wisdom circles where there will be sharing and group discussion of Geeta's newly launched book on Ayurveda. There will also be optional discussions on yogic philosophy, meditation, stress management and spirituality.